XS Brokers Insurance Agency Inc.
Quincy Mutual Group was founded in 1851. While the name has not changed in over 160 years, the products and services it has provided to thousands of policyholders extends beyond the basic fire insurance it started with over a century and a half ago. Today, Quincy Mutual Group offers a full range of insurance products to protect the property and liability needs of individuals and businesses through more than 500 independent insurance agents located throughout the New England states, as well as New York. The Russell Agency is a family-owned, independent insurance business located in the Southport section of Fairfield. It has served lower Fairfield County since 1941, and in that time has grown into a team of dedicated insurance professionals. It is one of the largest and fastest growing agencies in the area today. The Russell Agency LLC realizes the customer is the most important person in the organization. To better serve, it prepares and files each claim promptly and efficiently and represents the interests of the customers before the various insurance companies it offers. Utica National Insurance Group is headquartered in New Hartford, N.Y., and began in 1914 with the founding of its principal company, the Utica Mutual Insurance Co.. Today, the Utica National Insurance Group is among the top 100 insurance organizations in the nation, and our products include a wide range of commercial and personal coverages. If a claim happens, you want to know that the company you have trusted to offer you protection will be there for you. Utica National takes its corporate promise to heart every day: To make people feel secure, appreciated, and respected. As a member of CTYIP, you can get a discount on your CPIA certification? The American Insurance Marketing and Sales Society’s Certified Professional Insurance Agent designation is first-of-its kind, hands-on, how-to training. The Insurance Success Seminars are designed to enhance the ability of producers, sales support staff and company personnel to efficiently create and distribute comprehensive insurance programs. Participants leave with ideas that will produce results immediately. The workshops are engaging right from the start. 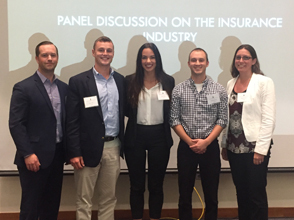 You will work with fellow insurance professionals and learn by actually working on real-life issues. Together, you’ll create practical solutions that you can implement as soon as you get back to your office. And because you learn by doing, not by just listening, you'll remember—and be able to use—much more of what is covered in class. The three parts of the CPIA designation will teach you how to build and deliver effective insurance programs, broaden your organization’s market reach and deliver customer service that drives increased retention. You will leave with expanded technical knowledge, practical ways to reduce E&O exposures and a greater confidence in your ability to serve today’s customers with what they want and more. Learn more here. In every agency, hundreds of potential errors and omissions are made every day that can put you at risk for costly litigation. PIA can help you take steps to prevent or mend E&O damage with our Agents and Brokers E&O Risk Management Tool Kit, which can be accessed by logging on to pia.org and selecting “E&O Risk Management Tool Kit” under “Tools and Resources.” There, PIA members can find out what to do when they have a claim, access risk-management resources, contact PIA’s E&O assistance hotline and more. 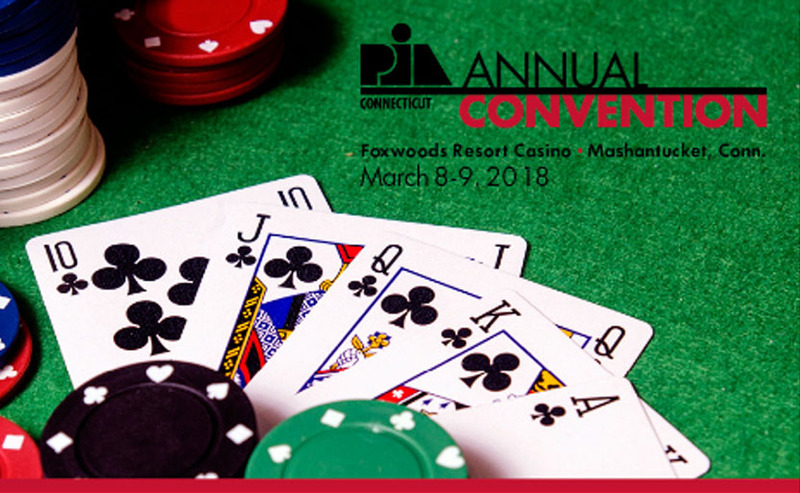 PIA also offers several E&O-related education courses and loss-prevention programs, many of which offer a discount on your E&O coverage written through PIA. View the upcoming course schedule here. Learn more about the E&O coverage PIA offers here. For more information, contact PIA by calling (800) 424-4244 or emailing resourcecenter@pia.org. Your CTYIP board of directors voted to implement a two-year member option. This will enable us to maintain our current membership over a longer period of time, while reducing the amount of emails we send you. We’ll also save on paper by not having to send you paper bills. It’s a win-win for everyone. When it is time to renew your membership, go online and make sure the two-year member option is checked off, or check the box for it on your paper bill and mail it back to us. It’s that easy. Connecticut Insurance Department Insurance Commissioner Katharine L. Wade announced that the CID has approved a 14 percent decrease in rates for workers’ compensation insurance, marking the fourth consecutive year that rates have dropped. The CID approved the filing by the National Council on Compensation Insurance, which compiles data annually from the workers’ compensation market in Connecticut and nationwide. With only a day left before the National Flood Insurance Program expires on Friday, Dec. 8, Congress is set to consider another short-term extension of the program. A clean NFIP extension has been attached to a continuing resolution to fund the federal government, which also expires Dec. 8. However, due to a disagreement on funding levels for the federal government, the extension will only be for two weeks, to Dec. 22. It is unclear if and when Congress will act on a long-term extension of the NFIP. For more news on the NFIP reauthorization and what it means for the future, see PIA’s article The NFIP: What is going to happen? PIA has issued a statement reiterating its opposition to the House Flood Insurance legislative package passed out of the House Financial Services Committee in June. The statement was made by Jon Gentile, vice president of government relations of PIA: “PIA National opposes this legislation because it cuts the Write Your Own reimbursement rate paid to insurance companies that participate in the National Flood Insurance Program by 3 percentage points. This cut was negotiated by trade groups and other representatives of insurance carriers without regard for the needs of consumers and agents, or the negative impact it will have on the flood insurance program and on disaster preparedness.” Contact your congressional representatives today and tell them not to cut the commissions agents earn for selling this vital line of insurance.